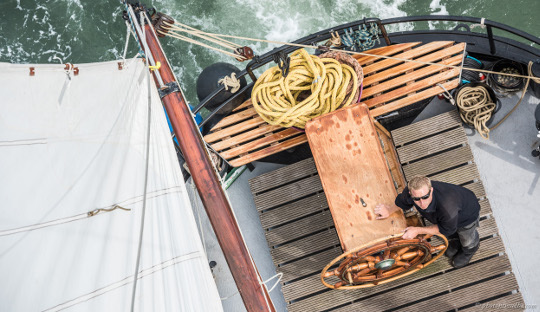 Sailing with a historic Clipper is a wonderful experience you will not forget! Would you like to explore the Wadden Sea with your partner or the whole family for a weekend or a week? Our sailing trips for individual travelers are a great experience for young and old. It is also very comfortable on board of a historical clipper. 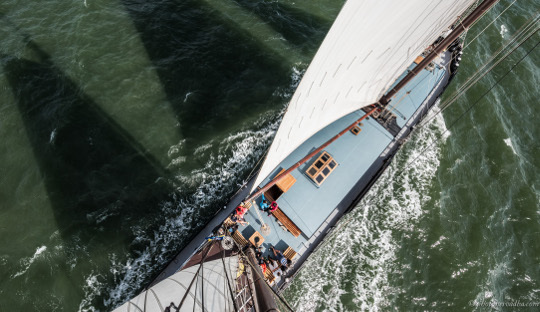 Would you like to learn more about this unforgettable sailing experience? Then you have to keep reading. In the spring, summer and autumn of 2017 we offer various sailing weekends. The skipper welcomes you on Friday around 9 pm on board the Aldebaran, the Poseidon or the Passaat. The next morning, course is set on one of the islands. Which will be a surprise! After the ship has landed there, you can explore the island. In the evening a dinner is prepared for you. Then it goes off into the bunk. After the impressions of the day you will surely sleep like the marmots. So a sailing weekend is ideal for traveling with two or with small children. 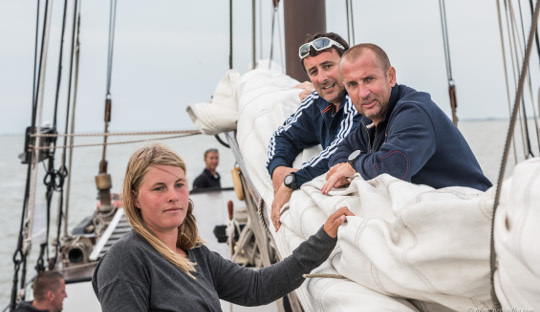 Would you like to know more about the sailing weekends? Then check out the overview with all free dates. During the May holidays, the summer and autumn holidays, you can enjoy an adventurous sailing trip with the whole family. The trip begins on Sunday and ends on Friday afternoon. These trips are especially intended for parents with (small) children. 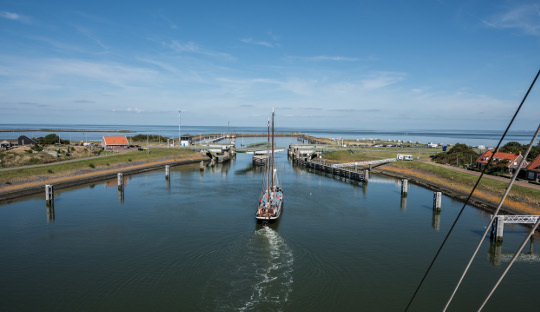 In this week you can sail to the islands Texel, Ameland, Terschelling or Vlieland and in good weather you can also experience the dry fall. For children a sailing trip is a great experience! 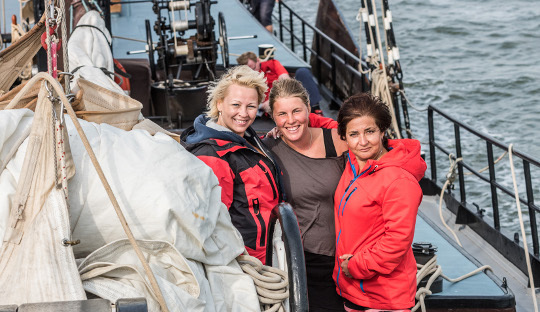 You can discover what lives at the bottom of the Wadden Sea, and as they can tackle with the sails, they feel like real sailors. Learn more about family trips and book your sailing trip! The individual trips are fully equipped, so of course also for the physical well-being is well taken care. The packages are incluside food and drinks. Breakfast, lunch and dinner are served daily. On the day of departure there is breakfast and a lunch snack. This depends on the sailing weekend or family ramble you choose. Do you have several family members who would like to take a sailing trip? Then a sailing arrangement for groups is a good choice. The whole ship is available for your family or friends. You can book the trip all inclusive or take care of food and drinks yourself. Would you like to know more? Then look at the weekly schedule for groups. 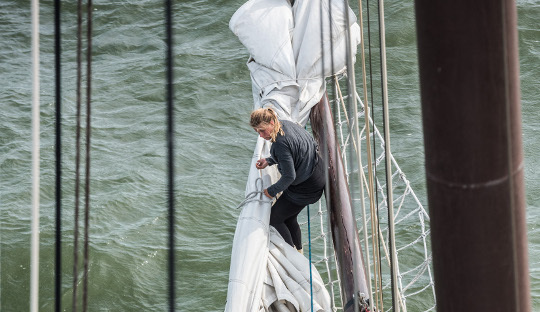 Can you hardly wait to lift the sails and set course on the Wadden Sea? You have the possibility to book your trip in the practical overview immediately and secure your place on board!